The story written by John M. Broder and published by the Times in its Automobiles section, was to have been a recreation of a previous story by the Times that took place in September. Essentially, the Tesla folks find a route from one Tesla Supercharger station to another. The author is supposed to follow very exacting instructions. No deviation from the set route is allowed, and apparently, the entire ride is to be at the posted speed limit. The preposition is that one can drive from one Tesla charging station to another. OK, no trickery there, however, one is also supposed to stop along the way and charge for many hours. That is one thing that Tesla accuses the writer of having not done. Apparently, the author did not fully charge the car at one opportunity. However, the car was delivered to him by Tesla full of charge, and he was in frequent communication with Tesla. While on the adventure one other thing the author did which is apparently a big no-no is he drove into Manhattan. Musk painted this as a big detour mentioning that there is traffic in Manhattan. However, Manhattan is a small place. And electric cars don’t use energy when they are not moving. So why would traffic matter? Manhattan was on the way. The writer had to pass it to get to the end point. Can you blame the guy for wanting some good pastrami? Are we to believe that the New York Times has a political reporter from the Washington office that decided on his own, or in cooperation with the Times, to fake a story to make Tesla look bad? If so, are we also to believe that the story in Autoweek was faked? 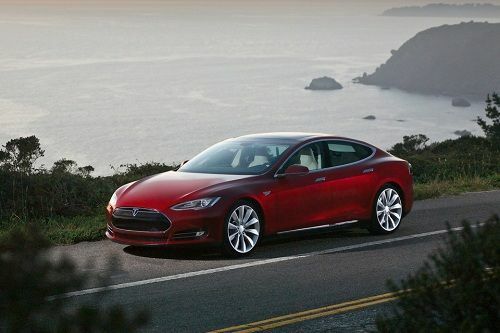 Autoweek was given a Tesla Model S to test and they had some trouble too. They had some glitches with the large infotainment screen, but really the biggest issue was that they connected it to the charger and it would not disconnect. The Autoweek writer, Rory Carroll, was to conduct a range test of the Model S, but could not disengage the car. A Tesla Ranger (field service technician) had to be flown to the author’s location to free it. Autoweek TV reported that thus “The Model S has a range of zero.” The following week another writer, Dutch Mandel, associate publisher and the editorial director at Autoweek wrote a scathing piece decrying the quality of the Model S*. The difference between Rory Carroll’s, and Dutch Mandel’s reports on the Model S and the New York Times story is a mystery. In one case we have a political writer who works at a prestigious newspaper on green topics having a bad experience with an electric car and being accused of faking his bad experience, and on the other hand two car savvy writers from one of the premier automotive publications saying worse things about the Tesla and not catching any heat from Mr. Musk. Maybe Mr. Musk doesn’t read Autoweek. It should be interesting to see if the New York Times defends the journalist it employs, or if the story goes quietly away. Here at Torque News we like to cover a story from all angles. For a different take on this please click here. * For the record, I commended Dutch for speaking his mind on the topic and my comments were published. The author of the NY Times piece made a number of rookie mistakes that showed cluelessness about what he was doing. These were mistakes even beginner EV drivers learn quickly not to make. For example, at the Milford Conn. stop he didn't fully charge the car. Neither did he fully charge the car in Delaware. Neither did he arrange even a trickle charge when he stayed overnight. He didn't account for the cold weather. He knowingly set out from Norwich with insufficient range to get to his destination. Why are you defending such a horrible article? Here is one other way to look at it. Educated man, who is no enemy of the green movement, and is familiar with operating a car, tries to drive it from one stop to another while in frequent contact with the manufacturer. Fails. We blame the man? Had Musk accused the man of being "Clueless about what he was doing" this wouldn't be news. Accusing a career journalist who has written for two of the 3 largest publications in North America for decades of being untruthful in a news report is slander unless there was a "set-up." People can make the connection when Fox News reports on a green topic like electric cars and their report is not favorable. When the New York Times is accused of fabricating a story to purposefully cast a green product in a negative light people say, “Huh?” It will be interesting to see if the article was really a set-up by the Times, and less than accurate. Or is an educated man, who reports on green technology, who has driven cars for decades, incapable of operating a Tesla. Which is worse? There were several simple things that any even halfway experienced EV driver knows to do that would have made that trip a success. Such as making sure the car was fully charged etc. (He did not) I agree Musk's comments were a bit much. However it's not either-or ... the NY Times article was badly flawed, and all the commentary I see from EV owners agrees. The guy simply didn't know what he was doing, and he was given bad advice by Tesla's service department. The proof will be in the electronic logs that Tesla can apparently produce and will be made public according to Elon Musk. The NYT writer says, quite a few times, that he drove at, or lower than, the posted speed limits. If he did, Tesla has range calculation problems. If he was heavy on the throttle, he should expect lower mileage, and he was dishonest in his report. Either way, EV adopters know the "plug it in" and "charge as much as you can" mantras without being told. For an unbiased reporter to forget seems suspicious.